ABCmouse.com’s kindergarten music and songs curriculum is designed not only to introduce children to certain basic aspects of music, but also to provide a rich variety of traditional and original children’s songs that teach important kindergarten curriculum topics, ranging from the alphabet and the names of shapes to the four seasons. In addition, the ABCmouse.com kindergarten songs collection features several children’s action songs. 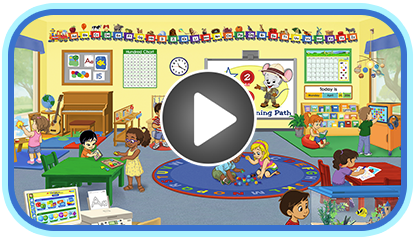 A unique feature of ABCmouse.com’s kindergarten music program is that our Letter Songs A to Z collection includes songs in virtually every musical style.